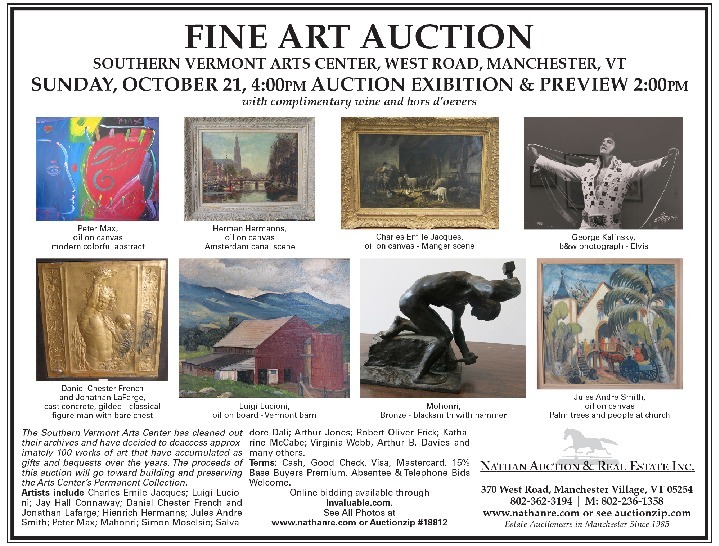 The Southern Vermont Arts Center has cleaned out their archives and have decided to deaccess approximately 100 works of art that have accumulated as gifts and bequests over the years. The proceeds of this auction will go toward building and preserving the Arts Center’s Permanent Collection. 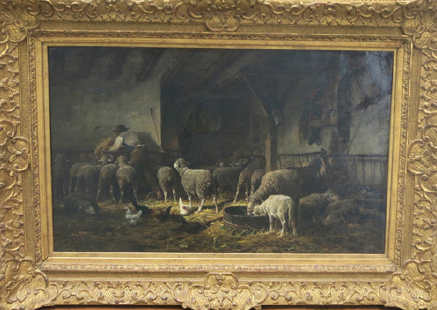 Artists include Charles Emile Jacques; Luigi Lucioni; Jay Hall Connaway; Daniel Chester French and Jonathan Lafarge; Hienrich Hermanns; Jules Andre Smith; Peter Max; Mahonri; Simon Moselsio; Salvadore Dali; Arthur Jones; Robert Oliver Frick; Katharine McCabe; Virginia Webb, Arthur B. Davies and many others. Online bidding available through Invaluable.com.